Understanding marine dynamics and its impact in several socioeconomic sectors is a key element for the development of Blue economy at the Mediterranean. To achieve this goal, obtaining high quality data is mandatory, but not sufficient. Downstream services convert this data into useful information and services tailored for specific final users. These services constitute today a essential key component to ensure the usability of the operational oceanography systems data and, therefore, a vital tool to ensure its long termsustainability. In that conext, 2018 Workshop will be dedicated to operational oceanography downstream services and applications and it will include a specific session on Downstream from EMODNET Physics. Analyze gaps in the services we are providing. Explore new ideas for development of Downstream applications. 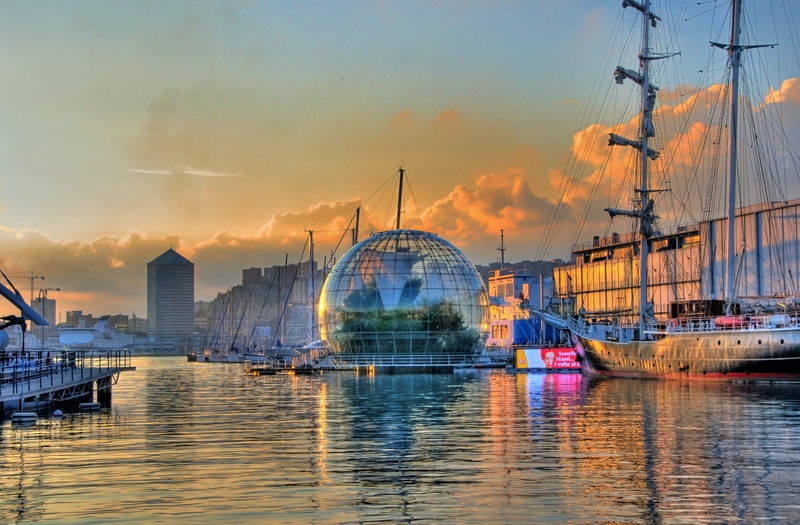 The workshop will take place in the Aquarium of Genoa, Italy and it will be co-organized with EMODNET Physics and co-sponsored by GEO Blue Planet and CMEMS. The meeting will be in the "Salone blu", it has a direct access from the side (see map).The meeting will be in the "Salone blu", it has a direct access from the side (see map). Each author is allowed to send one contribution to session 1 and 2. Session 3 does not allow presentations.